3D printed rocket injector test: success! Do you remember the NASA Space Launch System that’s dedicated to producing rocket components through 3D printing? How about all of the other space-related research projects? It won’t be long before entire spaceships are 3D printed, as rocket scientists at Aerojet Rocketdyne worked with NASA engineers to create a printed liquid-oxygen/gaseous hydrogen rocket injector assembly that’s passed initial tests. Under a Space Act Agreement, Aerojet Rocketdyne put the assembly through high-pressure, hot-fire tests at NASA Glenn Research Center. The injector components were produced with a selective laser melting technology, taking the build time from 12 months to 4 and with cost savings of over 70%. See what I mean about how soon we’ll have 3D printed ships? “NASA recognizes that on Earth and potentially in space, additive manufacturing can be game-changing for new mission opportunities, significantly reducing production time and cost by ‘printing’ tools, engine parts or even entire spacecraft,” said Michael Gazarik, NASA’s associate administrator for space technology in Washington. 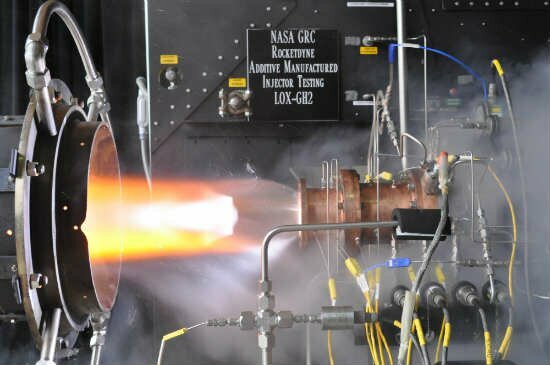 Tyler Hickman, lead tester at Glenn, said “Rocket engine components are complex machined pieces that require significant labor and time to produce. The injector is one of the most expensive components of an engine.” Producing both an expensive and complex part is an incredible proof of concept. With those kinds of savings astronauts will be cruising passed Mach 32 in no time.